Thanks for your support throughout NCover 3. You have helped us make NCover the premiere code coverage tool in .NET development. NCover Desktop, along with Collector and Code Central, make up the suite of the most advanced .NET code coverage tools available. NCover Desktop is a single license application designed for use on a developer's local or virtual machine. 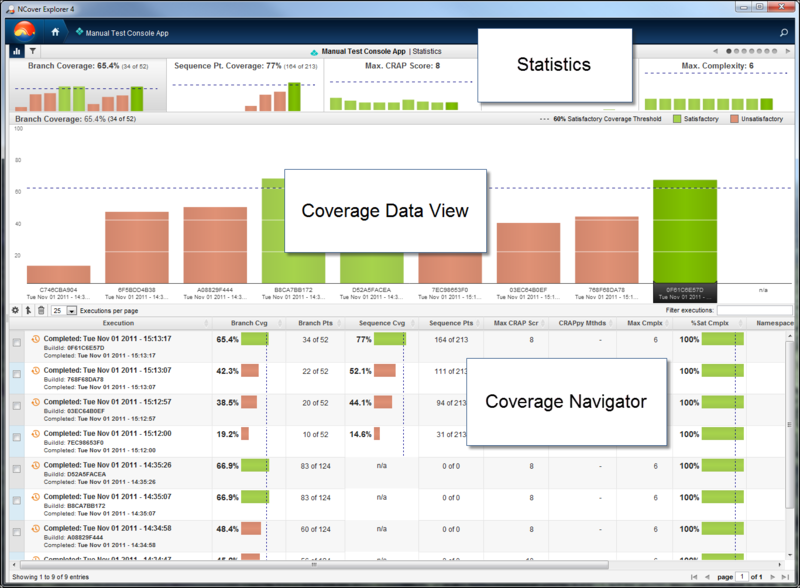 NCover Desktop allows users to gather code coverage data on any locally running .NET application or service and analyze the resulting data on the fly, from the NCover browser, or in Visual Studio, using detailed reports at every level of coverage from document and branch down to the individual lines of source code. The transition team at NCover has compiled some information and resources to make migrating easy.